Never go beyond the No Access Signs. 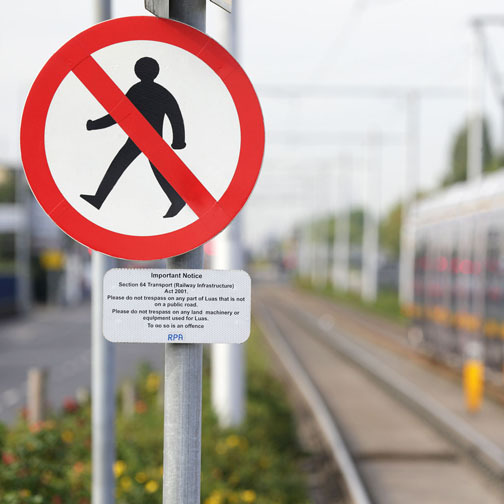 Pedestrians need to look out for certain signs and pavement markings when walking around Luas. 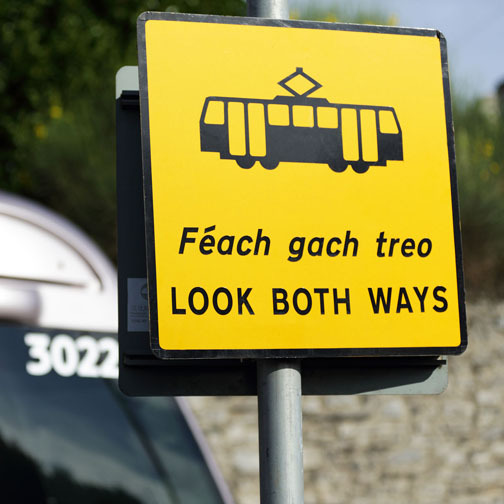 Pedestrians need to Look Both Ways before crossing Luas tracks. Pedestrians are not allowed go beyond the No Access sign. 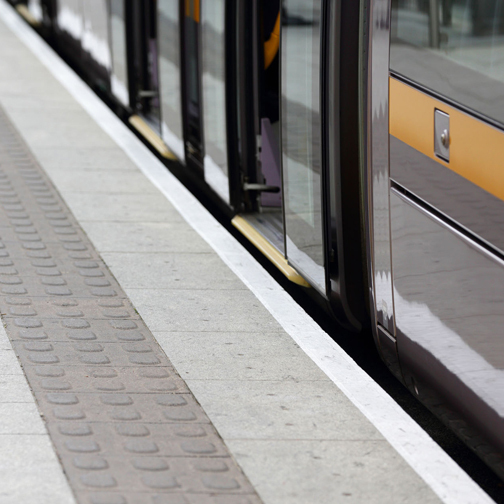 A wide White Line runs along the edge of the platform to highlight the edge. 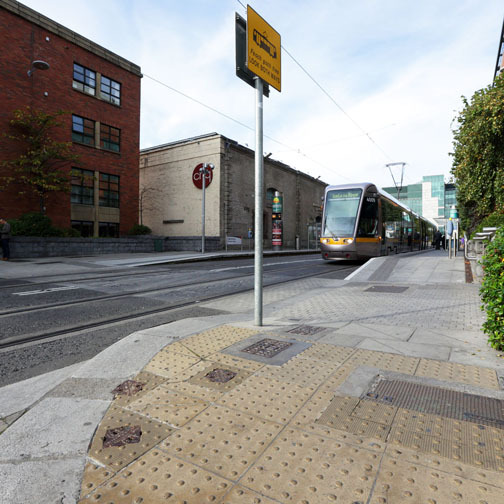 Coloured paving indicates an uncontrolled pedestrian crossing across the tramway. 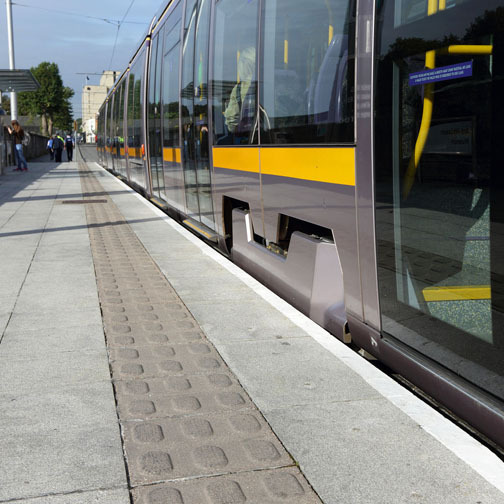 Lozenge shaped paving is located 550mm from the edge of the platform and runs parallel to and along the full length of the platform. This informs passengers they are approaching the platform edge. Corduroy paving is used to warn pedestrians that they are approaching a hazard and should proceed with caution. 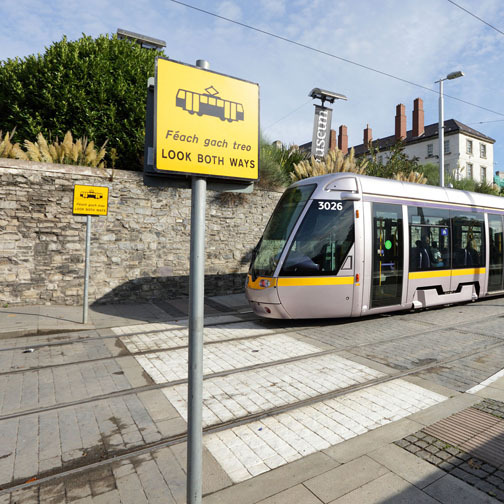 It is used to identify the presence of specific hazards including steps, where a path or pavement joins a shared route (shared cycle and footpath) and at the bottom of ramped approaches to Luas platforms. 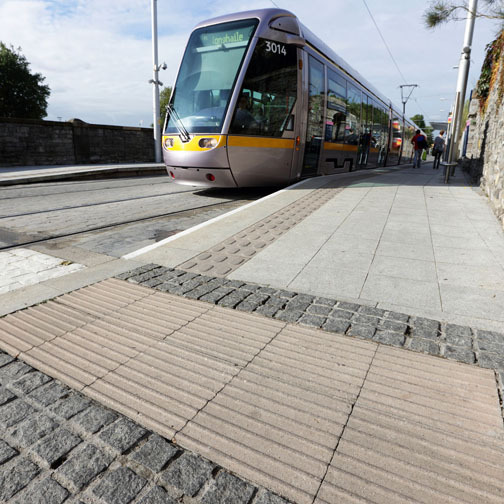 Tactile paving with a blister surface is used to warn pedestrians where a pavement ends and a carriageway begins, in locations where there is no kerb.